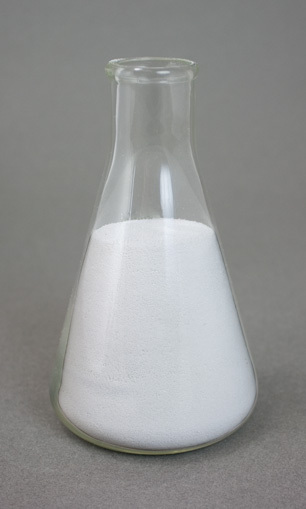 Soda ash is typically used to raise pH, and will often raise alkalinity as well. The Water Quality Association defines alkalinity as “the quantitative capacity of water to neutralize an acid.” In other words, it's a measurement of how much acid can be added to water without changing its pH. Alkalinity in water is usually made up of bicarbonate (HC03), carbonate (CO3) and/or Hydroxide (OH), but phosphates and silicates can also play a role. Although alkalinity is related to pH, it isn't the same thing. High levels of alkalinity stabilize the pH, but water does not have to have a high pH to have a high level of alkalinity. As alkalinity is the capacity of water to neutralize its acidic content, alkalinity therefore measures how much acid can be added to a water body without changing the pH level significantly. Alkalinity is not regulated as a water contaminant, but it is often tested since it is a factor in amending and controlling pH. In most cases, there is no reason to want to alter the water's alkalinity itself, but changing alkalinity is often involved in changing the pH. Neutralizing treatments with such items as Soda Ash or limestone (calcite) usually raise the alkalinity level as well as the pH. Acid demand can be defined as the amount of acid needed to reduce the pH level of water. This is strongly affected by the alkalinity of the water—the higher the alkalinity, the more acid needed to lower the pH. Acid demand is frequently measured in swimming pool applications by a test known as an acid demand test. These are usually titration tests, where a reagent is added to the test solution and the drops are counted to determine the demand. Results of the test are then applied to a specific amount of water to determine what amount of acid to add to the water to achieve the desired pH. Acids that are commonly used for lowering pH in residential water treatment are citric acid, muriatic acid, and vinegar. Muriatic acid and sodium bisulfate are commonly used to reduce pH and alkalinity in swimming pools.